We know the words - "Mac's can't game" and tons of gifs from non Mac users. But with eGPU - MAC CAN GAME! In this thread i will show you that! What Mac users don't have? They have great looking laptops, lets be honest they are still the best laptops on the market, but they have a little problem. 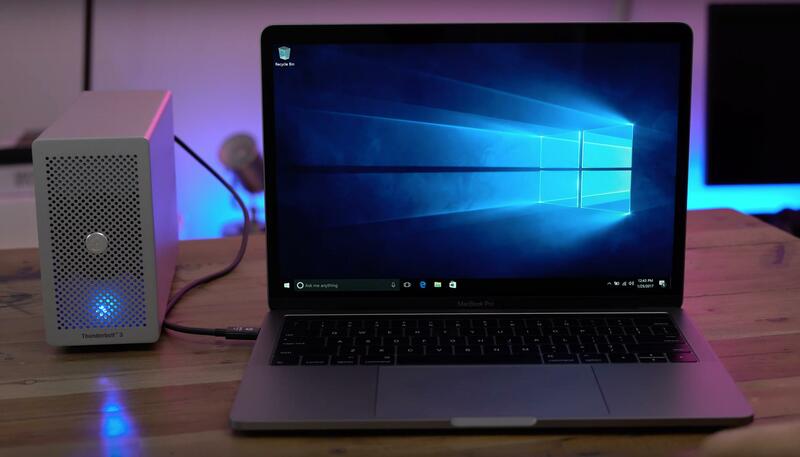 Apple decided to made a small laptops with great battery life and we know that if they use for example NVIDIA GTX 1060 in the new Macbook, the battery life will be a huge problem. 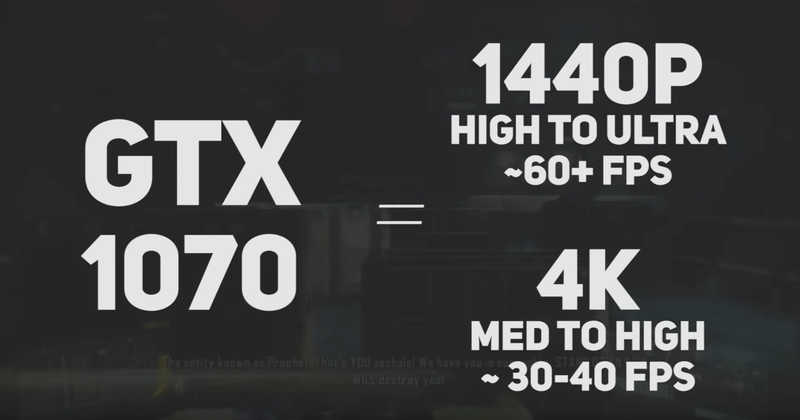 So they decided to go with AMD 450, 455 and 460 - the GPU performance that is a huge problem for users that want to play games on their Macbook Pro... and here is the moment when eGPU shines. 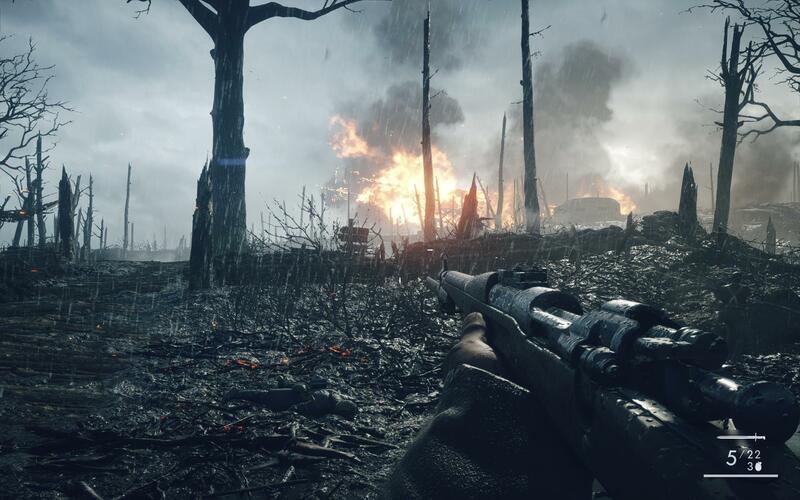 1920 x 1080 (1080p), 2560x1440 (1440p), 4k with stable 60 or 144FPS - The resolutions and FPS that gamers want to play with. On Macbook Pro we don't have 4k 144Hz Display so we will skip that resolution and 144FPS and we will concentrate on 1080p & 1440p (close to Retina resolution) with 60FPS! The question is what about eGPU? We will separate eGPU with Thunderbolt 3 and eGPU with Thuderbolt 1 & Thuderbolt 2. What about eGPU with Thunderbolt 1 and Thunderbolt 2? 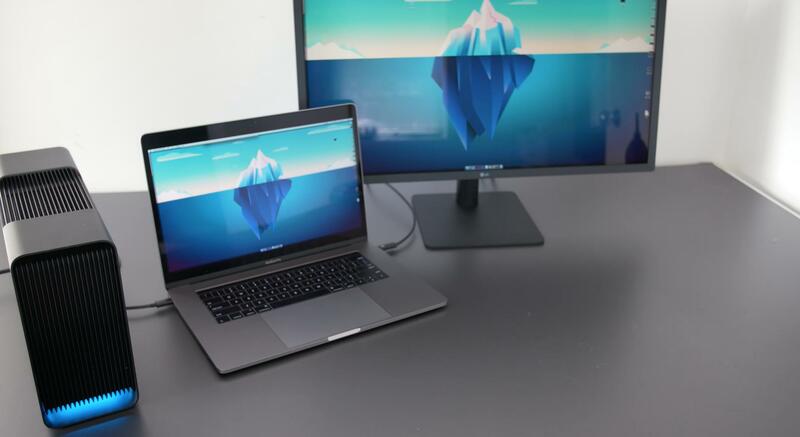 We can make a conclusion that MAC CAN GAME even on the Macbook Retina Internal Display with Retina or 1080p resolution based of your video card and your laptop Thunderbolt Number (1, 2 or 3). Desktop PC users what now - the jokes are over...? I think the "mac can't game" refer also to the cost/efficiency of a gaming platform. The perf/price dig even worst if you use eGPU like 1070/1080. But hei if you can afford a mac you can surely afford the rest so who cares. 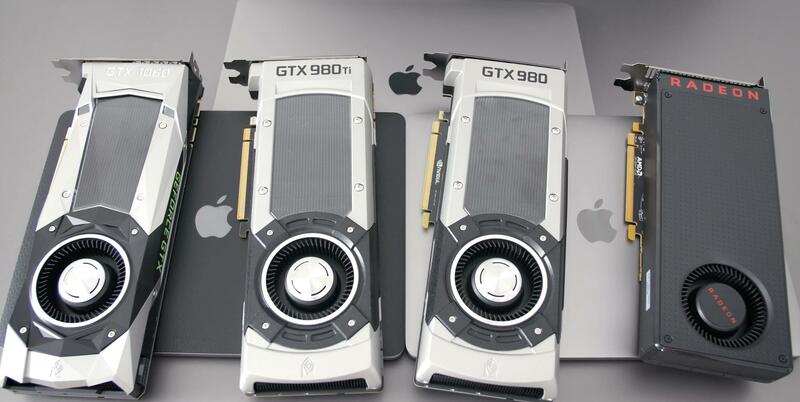 But refrain anyway to be so optimistic, being a power user desktop player i would never advice to buy a 1070/1080 for a eGPU setup either for a mac/laptop, if you want use this kind of cards, buy a desktop. You just half the computing power of the card no matter witch link you will use. The best choices for eGPU are mid range cards like 1060/480 atm, because the links we dispose now goes along the raw computing power of the gpu. Obviously IMO, looking for a perf/price point of view. So for the same price you have 3 or 4 times better gaming performance even with the performance drop you talked about! With this thread i want to help Mac users to take the right decision, Mac users have money (most of them) so the money are not the problem. The most hate about Mac comes about the big price, but Macbook is still the best on the market so.... the price is for the best! 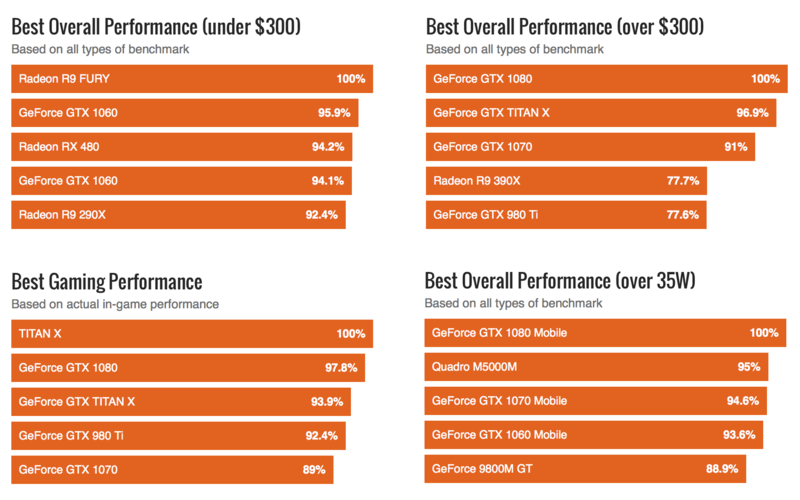 My late-2013 15” MacBook Pro’s discrete GPU — an NVIDIA GeForce GT 750M — was pretty good for gaming during the first year of its life. But around the time that the new generation of consoles dropped, AAA games on the PC started becoming unplayable, even at postage-stamp resolutions with the lowest possible settings. I lived on a strict diet of indie games from 2015 to 2016 — thank goodness for well-tuned titles like Overwatch and The Witness! — but the itch to try games like the new Mirror’s Edge and Deus Ex became too great. Initially, I thought it might be time to switch out my MacBook for the upcoming 2016 model, but the winter reveal wasn’t particularly tempting: CPU performance was about the same as mine and the GPU was — at best — 3 times as powerful. (Still need to see the benchmarks on that — educated guess.) Worth it for a few hundred bucks, but $2000? No way! Building a gaming PC wasn’t an option due to my mobile lifestyle, and in any case the kind of CPU I could buy for cheap would be comically underpowered compared to the i7 4850HQ I already had in front of me. So I started looking into the scary world of external Thunderbolt GPUs, colloquially known as eGPU. Modern Thunderbolt 3 (allegedly) supports external GPUs in an official capacity, but older Thunderbolt 2 can get the job done as well, even though it’s unsanctioned by Intel. I’m usually reluctant to pursue these sorts of under-the-radar hobbyist projects, but there was enough prior art to make it worth a shot! Unlike many gaming enthusiasts, my goal was to optimize for simplicity over power: the fewer hacks and workarounds I had to use, the better. I already knew I’d have to use an external monitor and do my gaming in BootCamp, which was already the case. I knew there would be some performance loss from the limited bandwidth of TB2. I gathered that there may be timing issues and other problems that would require a bevy of software hacks to fix — mostly on the Windows side of things. But I was most concerned about the hardware hacking required to get the thing up and running in the first place. The majority of published eGPU builds involve enormous graphics cards connected to hotwired desktop PSUs, sitting in unseemly, torn-apart Thunderbolt-to-PCI chassises. It was clear that the anointed case for the job was the AKiTiO Thunder2. 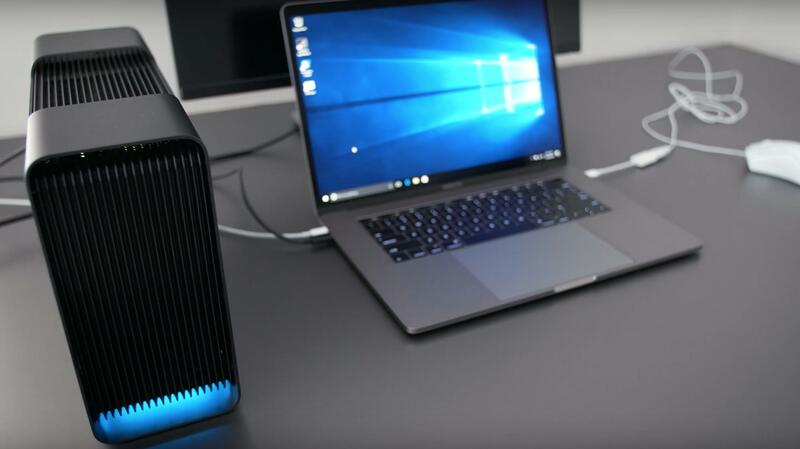 The Thunder2 wasn’t designed for eGPU use, but dozens of eGPU enthusiasts on forums like TechInferno demonstrated that it ran stable and performed admirably. (AKiTiO engineers even popped in on occasion to offer under-the-table eGPU advice — off-warranty, of course.) It was also one of the cheapest options on the market at around $200: very fair considering that a barebones development Thunderbolt 2 board cost nearly as much! Most eGPU builders buy this case to hack up, not to use as-is. Usually, the front panel is bent back or removed to fit larger cards, and then a desktop PSU is made to turn on with a paperclip and adapted to fit the DC plug. There are also arcane startup rituals to get everything powered and running with the right timing. I really didn’t want to have a PSU octopus and a ragged hunk of metal sitting bare on my table, though it sadly seemed inevitable. Then I discovered an alternate route. Most GPUs are power hogs that rely on one or two extra power ports on top of the card, but there are a few designed to pull power straight from the PCI slot. These aren’t super-extreme gaming cards, but these days they more than get the job done. 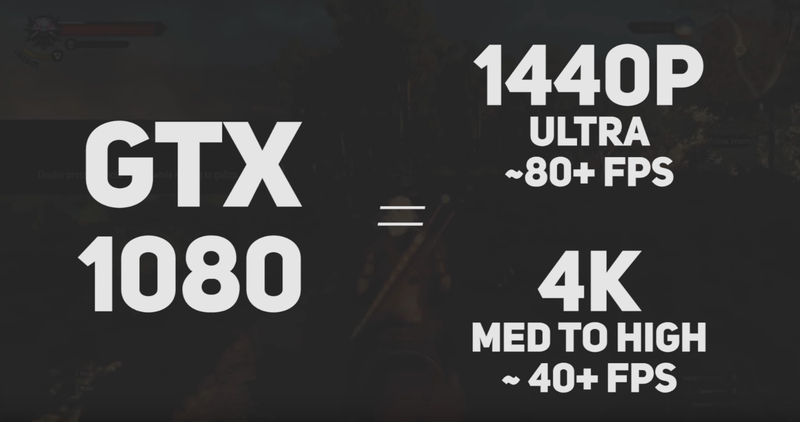 For example, the just-released NVIDIA GeForce GTX 1050 Ti can pull 1080p at medium-high settings in many recent games and currently benchmarks as the ~40th best video card on the market! Better yet, many of these single-slot offerings are short and half as long as the monster enthusiast cards, easily fitting into AKiTiO’s compact case without any modifications. Using this type of card, I’d be able to keep my Thunder2 in one piece and avoid using a PSU entirely. No hacks required! At peak, these slot-powered cards can draw 75W from the PCI Express slot. Unfortunately, the AKiTiO Thunder2 only comes with a 60W adaptor, 30W of which is allocated to the circuitry. A dead-end? Not so fast: as stated in the official docs and verified by employees, the Thunder2 can actually pull as much as 120W from a more powerful adaptor. To be compatible, the new power brick needs to sport a 5.5×2.5mm barrel plug, provide 12V output, and have center positive polarity. (Practically every power adaptor has these last two items listed on the back.) My hope was to find a laptop power brick with these same specs, but it turned out that most laptops used chargers with an all-too-high output of 20V. Surprisingly, well-reviewed 12V/10A bricks weren’t common at all on Amazon (unless you lived in the UK or Europe), with most of the listings taken up by rebranded versions of a sketchy-looking adaptor with model number CT-1250. Eventually, I discovered one vendor who was selling bricks with model number CD120100A, which had a more confident label and looked identical to a power brick I saw in another successful closed-case AKiTiO build. (The Amazon listing was full of typos and the product photos didn’t match the user photos, but it just so happened that the adaptor in the user photos was exactly the one I was hoping to find — and Prime allowed for painless returns in any case.) If the US 12V/10A adaptor market was really dominated by CT-1250 and CD120100A, the latter just seemed like a better bet. For the graphics card, I decided to give the EVGA factory-overclocked version of the 1050 Ti a try, since one eGPU enthusiast mentioned that their EVGA card handled boot timing issues a bit better. (True or not, I’ve also had positive experiences with EVGA warranty and support in the past, so it was an easy decision.) Potentially, the overclock was a problem: the AKiTiO Thunder2 wouldn’t provide more than 75W of power to the slot, and any excess power pulled by the card could destabilize the system or even fry the circuitry (as reported by one user). But from everything I read, factory-overclocked EVGA cards were designed to never exceed the 75W threshold, and any instability could simply be fixed by underclocking the card slightly using EVGA’s (or possibly NVIDIA’s) own tools. Factor in the fact that the non-overclocked version cost exactly the same as overclocked while probably having lower resale value, and it became clear that the SC model was almost certainly the better buy — even if you dropped the clocks right from the get-go. Trawling eGPU forums for installation instructions was quite frustrating. 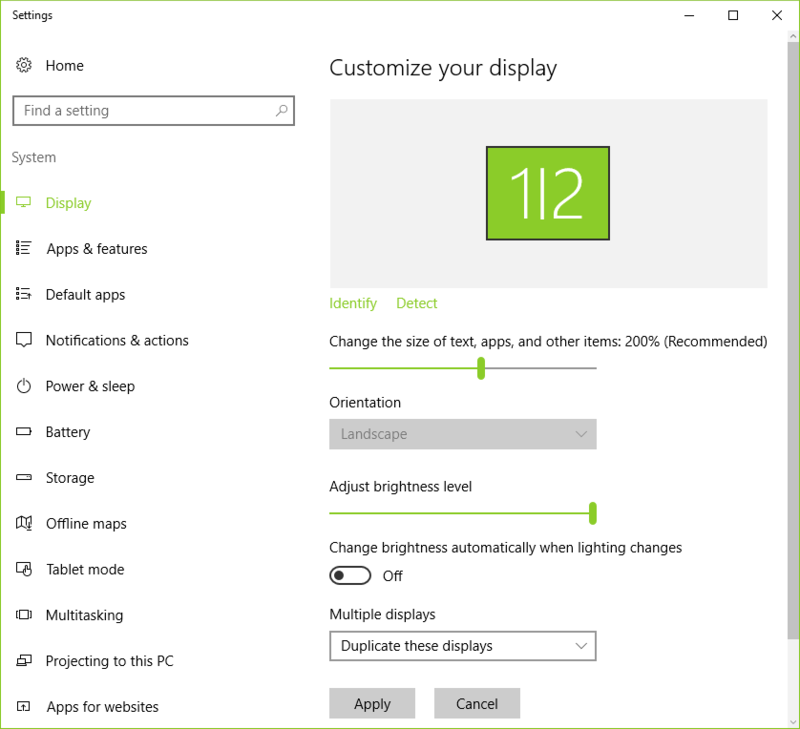 Most users preferred to write about how they got their eGPUs working with their laptop displays (using Optimus drivers — possible with NVIDIA GTX cards) and/or in OSX. Both tasks involved copious scripts and hacks. I was only interested in the bare minimum — BootCamp on an external display — but most guides simply skipped that “easy” part. Would I need to make a custom build of Windows? Edit drivers? Install a custom bootloader? Nothing was clear, so I decided to just jump into it. Once I got all the parts assembled, I plugged the Thunder2 into my laptop and my monitor into the Thunder2, crossed my fingers, and turned on the computer while holding down the Alt key (for the boot menu — I already had BootCamp with the latest Windows 10 installed). At first… nothing. Just a black screen and no chime. I tried unplugging the cable, turning the machine on, waiting for the chime, and thenplugging it in. The boot menu showed up, but froze when I selected Windows. I tried one more time to boot with the cable plugged in and it worked! Or — at least, it booted into Windows. Nothing showed up on the external display, but the Windows Device Manager had a tempting entry named “Microsoft Basic Display Adapter”. Hopeful, I searched for other eGPU users who had gotten to this step, and it became apparent that all I had to do was install the latest NVIDIA drivers. One reboot later (with no issues this time) and I was seeing “NVIDIA GTX 1050 Ti” in my Device Manager. 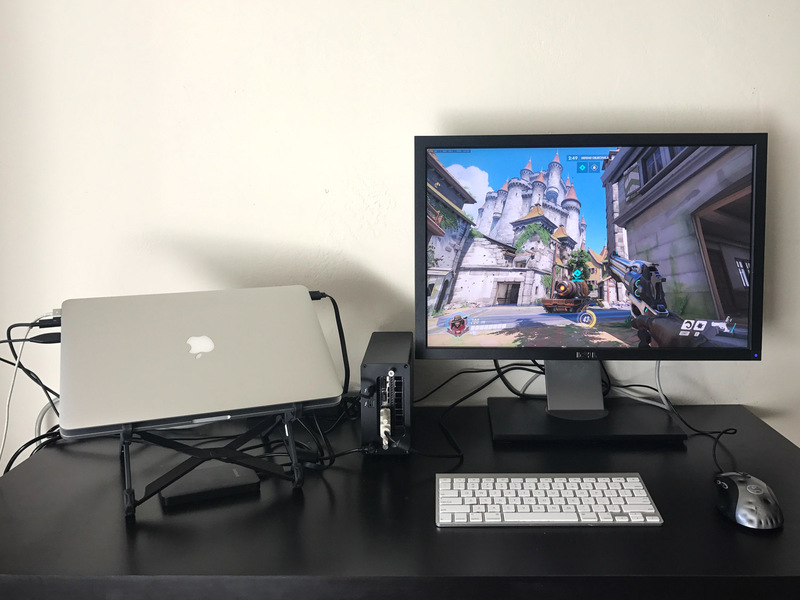 I gave Overwatch a quick run on the highest settings, but performance didn’t seem particularly great; my suspicion was that the laptop defaulted to the discrete 750M instead of the eGPU. I returned to Device Manager and disabled the 750M, restarted Overwatch, and… 60fps! It actually worked! Holy cow! Now for some benchmarks! The main bottleneck in this setup is the TB2 connection. TB2 doesn’t allow for the full PCIe x16 throughput, potentially crippling graphics card performance. In practice, this isn’t really that big of a deal: users have reported at most a 20% performance loss over native, and usually a bit less. Let’s see how well we do. Quite an upgrade! 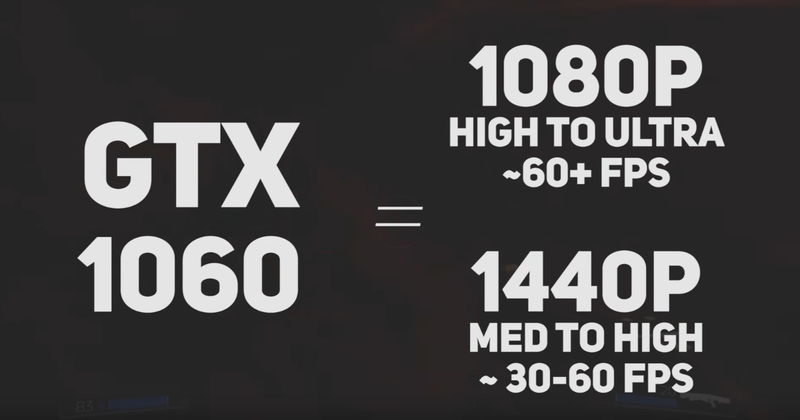 According to Passmark and other benchmark listings, a 1050 Ti should, under normal circumstances, be about 4.5× as powerful as a 750M. Factor in 10%-20% performance loss from the TB link and that’s exactly what we see in our results: a 4x boost on average. Even without any underclocking, stability has not been an issue. I’ve been playing hours of Crysis 3, Far Cry 4, and Mirror’s Edge Catalyst over the past few days and everything’s still working great. I’m keeping the case closed, but I don’t think there’s any real risk of overheating: the GPU fan is designed to funnel heat right out through the back and there’s an extra front fan build into the case anyway. According to 3DMark, temperature during benchmarking has been stable. 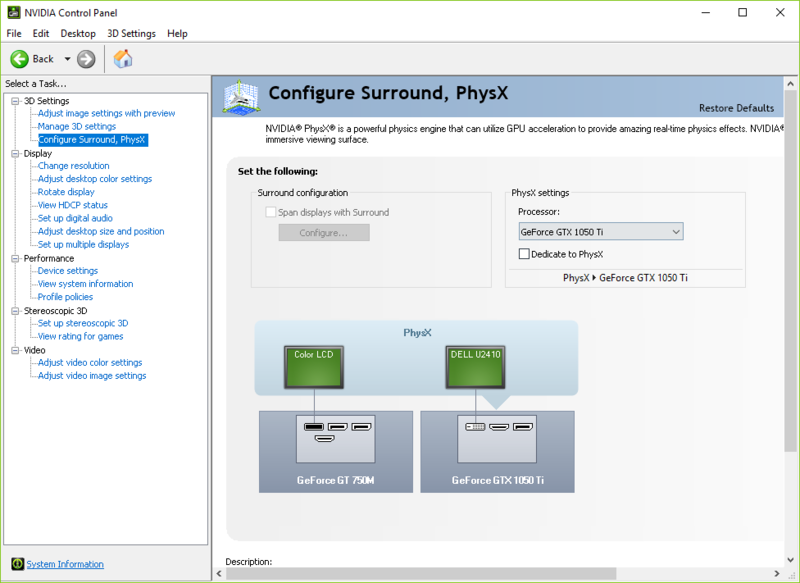 Another interesting finding: if you keep the discrete GPU enabled, there’s a setting in the NVIDIA control panel to dedicate one of the GPUs to PhysX. I’m not sure if this will make a real difference in performance or cause stability issues, but it might be worth investigating in the future. 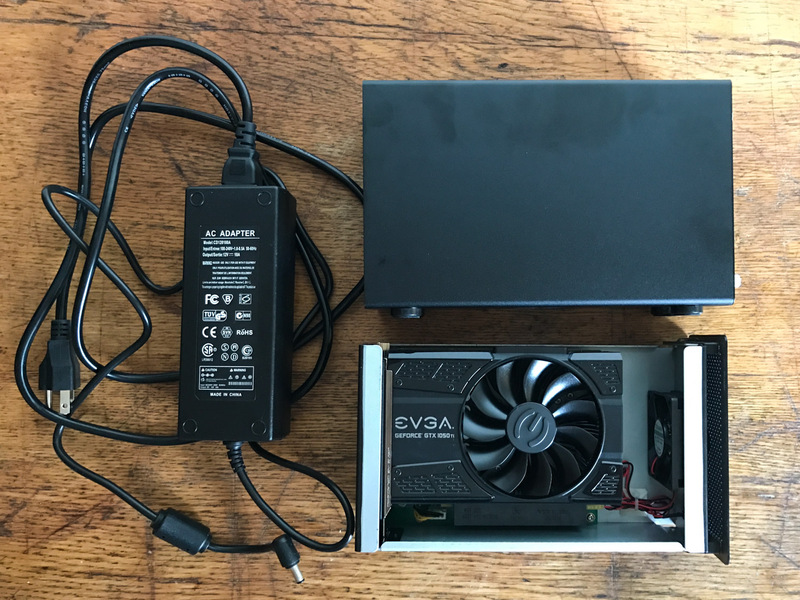 …you can assemble a painless, hack-less eGPU build and use it with your late-2013 15” dGPU MacBook as a relatively inexpensive graphics upgrade compared to building a PC from scratch or buying a console. (Cheaper still if you wait for rebates or use an older/weaker X50 card.) Caveat emptor: the same build might not work so well — or at all! — on other MacBook models or even with a different driver version. In other words, what worked for me might not work for you! Remember that eGPU on TB2 is not officially supported and mostly works by accident, though clearly it can work very well. In time, I hope somebody releases a Thunderbolt 3 eGPU the size of one of those Square credit card readers — maybe sporting a GTX 980M caliber chip? — that plugs into a USB-C port and works seamlessly with the internal display. But for now, this lovely little eGPU will do just fine. I’m confident that my trusty MacBook can now serve me for another few years, especially if NVIDIA continues to release excellent and inexpensive PCI-powered cards on the regular. Let’s hope that the eGPU revolution is just beginning! We are still speaking about 3k$, so like i said who matter if you have the money, you can do as you please. But if you must give advice's adress them the vast majority of people that get a mac, but maybe didn't want spend another 1k$ for an external eGPU. So my point here is not to say that you can't play on a mac etc, etc, i'm happy you could! But when you give an advice to buy a gpu that cost more than 500$, think about other people that have a mac but can't spend so much for so bad ending perfs! Because if for you these perfs are awesome, for me they are bad and not efficient at all! @wimpzilla - I just posted example with GPU (EVGA GeForce GTX 1050 Ti SC) for $140 (the hole setup for $400). 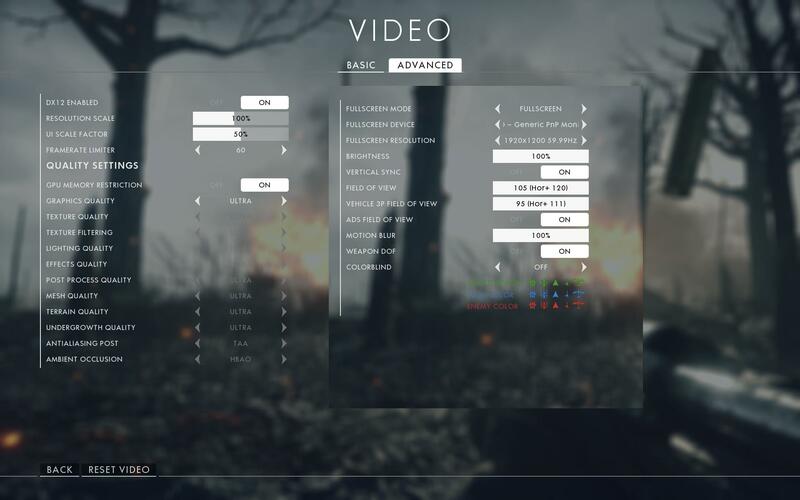 About if you a gamer and wants BF1 with 80/100FPS to no fell laggy for multiplayer etc, again it can be done with the same method but better Video Card I'am sure if you use GTX 1070 on old mac you will have that FPS on External Display for sure and with new Macbook because of Thunderbolt 3 on your Internal Display, so yes Mac CAN GAME 🙂 Its juts about what type of gamer you are! As long you propose different solutions like the one you add, i completely agree with on the rest. Each one have it own need, money and gaming styles. I give you my opinion about, being a power gamer from long time now, that have spent a lot of time modding and overclocking graphics cards. That's why for me a 1080 on eGPU is completely wasted no matter what, even if for you it work and do it job nicely and happily. enjoy's i7-4750HQ compares well against a stock-clocked i5-4690K and doubles your i7-4650U in performance. See here. Furthermore, using XTU or Throttlestop can allow enjoy to undervolt the CPU and unlock additional 200Mhz turbo multipliers to get more performance within chassis temperature constraints. 3.2Ghz / 4-cores in his case. If he had the i7-4980HQ Macbook Iris Pro then would have +600Mhz unlock turbo bins, or up to 4.4Ghz / 4-cores.. though unlikely to handle temps or TDP at that level. Still, a lot of CPU performance in a svelte chassis. I didn't think Passmark was regarded as a very reliable cpu benchmark. In any case, Geekbench ranks the i7-4750HQ multicore bench just below the i5-2500k and the locked i5-4590--those will do pretty well in BF1 but you will have drops below 60 fps. And yes, it puts the 4750HQ multicore at ~1.75x my 4650U. That would be a pretty good improvement, but I'm looking to stick to 13" and 3 lbs for my laptop. Doing the Geekbench math just now suggests the best 13" MBP chip would give me a 30% multicore increase, which in BF1 is almost solid min 30 fps, but not min 60 fps. Agreed though, if you spring for top-of-the-line i7 15" you can beat desktop Haswell i5s and rival Ivy Bridge i7s: probably enough for > 60fps in most any game. But it may make less sense from price/performance angle. Undervolting my cpu gives only about 100 mhz increase (at most) in stable clock speed, which is tdp limited. @sdedalus1 Quad Core is for sure recommend for gaming with +60FPS (multiplayer shooter etc). I will test BF1 soon on my Internal Display with Optimus! I have a mid 2015 macbook pro (bootcamped to windows) with thunderbolt 2 ports. Do you have any recommendations for the enclosure and GPU to put in it? (Something relatively simple to assemble since I don't really trust my DIY skills) On a separate note, I've had my eyes on a Gigabyte Aorus 1070 eGPU but the problem with it is that it only has a Thunderbolt 3 connection. If I were to use a thunderbolt 3 to 2 adapter on a bootcamped mac, would it work? @FloatingPig, the Apple Thunderbolt 3 (USB-C) to Thunderbolt adapter should work with your proposed setup. Guys, can you send me more info/tutorial about undervolting the CPU to increase gaming performance? Try it on Windows, you should get higher FPSs.